Sylvia Roccia teaches third grade at Divine Wisdom Catholic Academy. Mrs. Roccia holds a Bachelor of Arts degree from Queens College in Elementary and Early Childhood Education, and a Master’s degree as a Reading Specialist from Birth to Second Grade from St. John’s University. During the summer of 2010, Mrs. Roccia attended a summer institute offered by the teachers College Reading and Writing Project at Columbia University. 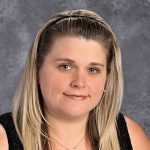 Mrs. Roccia is currently in her 16th year of teaching, having taught various grades, with six years of experience in the second grade. Mrs. Roccia has created a student-centered learning environment, giving her students many opportunities to attain their knowledge and gain understandings, while consistently providing assistance and support. As their teacher, Mrs. Roccia offers unlimited opportunity for her students to learn, discover, and create knowledge, continually focusing on their growth into productive and thinking members and future leaders of society.